Finding the right agent who is experience and qualified to get you home sold can be a stressful process. 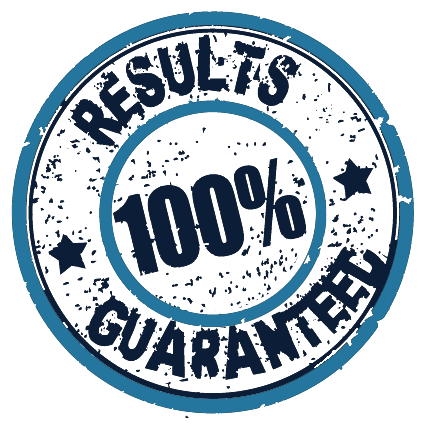 So to prove how confident we are in our ability to meet all you home selling needs, Ted and his team of top-rated real estate experts offer each of their home selling clients a no-risk, home-selling guarantee for the first 30 days. If you're not happy with our progress and our marketing strategy after the first 30 days of your home being on the market, we alleviate your commitment to us and you are free to explore alternative home selling options without penalty. For more than 25 years, Ted Guarnero has been a leader in Chicago's residential real estate market, developing a loyal following of homebuyers and sellers, developers, and community leaders. Ted Guarnero's career began in Chicago’s Streeterville neighborhood—where he works and lives still today. Guarnero has always been known as a downtown Chicago real estate expert; with over $100 million in sales on over 400 unit transactions, Ted has consistently been named as a top 1% producer in the nation and was named a Top 100 REALTOR® in Chicago. After launching his real estate career with Inland Real Estate in 1982, Guarnero has worked and consulted for Chicago's top brokerage company's; currently he is a top agent with Conlon in Chicago. Ted Guarnero has fostered a reputation for understanding both buyers and sellers and helping them to identify their needs, helping them grow and to meet the changing needs of family and location, while advising them how to maximize the return on their investment. Buying or selling a home, whether it is your first or tenth, is more than a financial decision, it’s an emotional one and can be a confusing time. You can choose from thousands of real estate agents in the Chicago area. Why choose Ted Guarnero? The right Chicago real estate professional advocating your best interests is now more important than ever—expertise for you, exposure of your home, experience to handle any problems that arise; Ted Guarnero is not only a professional real estate agent, but a highly experienced and creative problem solver--an enormous success over the last 25 years in residential Chicago real estate-- Guarnero has continually overachieved for his clients. Specializing in all types downtown residential Chicago real estate—condos, lofts, townhomes, single-family homes—Ted Guarnero is an expert. Ted's expertise and well-known knowledge of downtown Chicago real estate, including the Gold Coast, the South Loop, the West Loop, the New East Side, Old Town, Lincoln Park, Printer's Row, Streeterville, River North, and the entire lakefront community. Ted will never turn down an appointment. Never. But most importantly, by choosing Ted Guarnero, you will have an experienced pro that has seen and solved any and all problems you may encounter—from showing to closing, Ted is your real estate advocate.